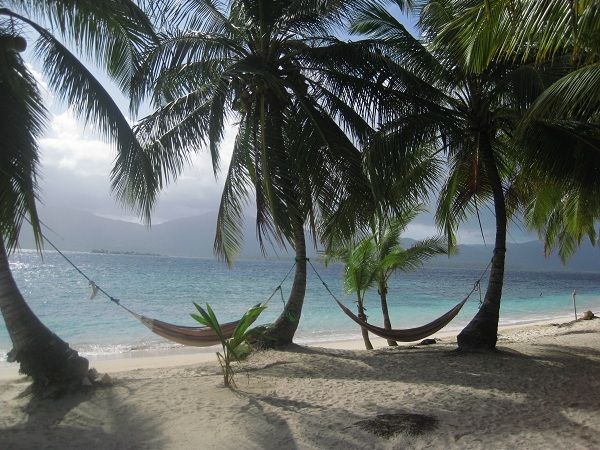 Kuna Yala(or San Blas as it is also known) is a string of islands, and a thin slice of Caribbean coastline in the northeast of Panama. San Blas borders with Colón province in the west and Colombia in the east. Kuna Yala is not actually a province but autonomously governed region known as a Comarca. The Comarca de Kuna Yala is inhabited by the Kuna people. Fiercely independent and staunchly traditional the Kuna are Panama’s most famous and celebrated indigenous group. After a violent uprising supported by the United States in 1925, the Kuna’s of the San Blas islands were granted the right to self-rule while still being given representation and voting rights in Panamanian governance. This along with their tenacity has allowed them to maintain their language and culture, no small feat when you consider they have had contact with Europeans since 1502. The Archipiélago de San Blás, along with the Kuna people themselves are the main tourist attractions in Kuna Yala. There are over 365 islands in the Archipelago, many of which are uninhabited, postcard perfect, bumps of white sand with a few Coconut Palms. The Kuna people still often live a traditional life style, with the women still dressing in traditional clothing. 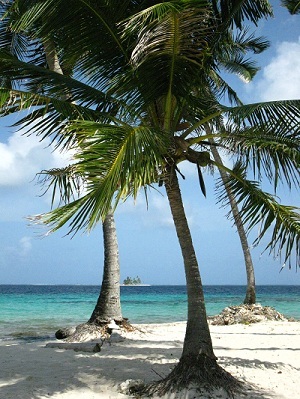 The main source of income in the San Blas islands is tourism, and the sale of coconuts to Colombian traders. 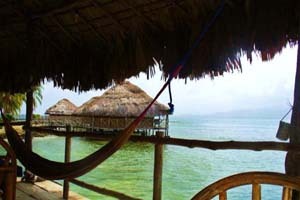 Facilities are basic in the San Blas islands and run by local Kuna people. Cabaña style accommodation is common, often with sand floors and as there are no supermarkets, all inclusive packages including accomodtaion, food and tours are common. Plantains, coconuts and fish are the staples of the Kuna diet and will no doubt feature in many dishes served to guests. San Blas has plenty of accommodation options, ranging in price from $20 for backpacker style accommodation to $200 in more comfortable settings. You won’t find resorts in San Blas, don’t expect to sit on the beach drinking Pina Coladas and waiting for the waiter to bring the next meal. You’ll soon find that fishing, snorkeling, visiting a village and lying about in the sun are the main activities while in San Blas. The Kuna women are famous for their brightly coloured traditional dress. Originating as decorative patterns painted on the skin, the patterns have been transferred to elaborate bead accessories and clothing. The mola is an important part of their dress. It is a brightly patterned embroided cloth panel, attached to their blouse. The Kuna women now sell molas as souvenirs. You’ll see plenty of examples in the tourists shops of Panama City but San Blas is where the originals come from. Feel free to try you’re bargining skills to see what you might aquire.